"Black Belt USA is such a magical place. From the caring and professional staff to the important leadership and presence of Master King! Over the course of the past 6 months my son has been a student at this academy and the difference has been amazing. His ability to concentrate, focus, be more disciplined and have fun has strongly influenced his success in school. The strong correlation between Master King's teachings and Caleb's success at school and home is undeniable. If you haven't found a summer program yet, I highly recommend the summer program in addition to the year long program. As a parent I've had the privilege of being taught by Master King and his wonderful team and it's truly an honor for my son to have the same honor and experience. Thanks for all that you do Black Belt USA!" I have nothing but positive things to say about BBUSA. I started Muay Thai at BBUSA 5 months ago and I love it! Muay Thai at BBUSA allows me to push myself physically and mentally to the limit. I have never felt so great in my life and I have BBUSA to thank for that. I started my martial arts training from scratch at Black Belt USA when I was 21 years old. The detailed and friendly approach to teaching shared by Kru King and Dr. King relieved me of any intimidation I felt from having come to the school with zero experience. The personal transformation that I have gone through since the first day of training is hard to put into words. All I can tell you is that you have to try it for yourself to truly feel the power. For comprehensive Muay Thai training in a family environment there is no better destination than Black Belt USA. Amir "Dr. K" Khoshnevis, O.D. Training under Khun Kru King and Dr King has been as much an exercise in leadership development as it has been physical activity and technical training in the art of Muay Thai. I have spent the majority of my healthcare career developing the skills needed as a leader, a speaker, and a professional development coach. During this period of education, I attended countless training opportunities, ranging from Disney to Wharton Business executive training and leadership programs. Nothing, however, has challenged me more or prepared me better to be a self-assured leader than my incredible experience over the past three years with the Kings. If you spend some time at Black Belt USA, you will quickly realize why I feel this way about a place I go to get in a workout. The three lessons I've learned here that have helped in my personal and professional development are "simple but not easy" (as he likes to say): 1) It's about culture when it comes to any great organization. If you respect the art, the instructor, and those you engage in any activity, you will earn their respect and have a greater chance of success. 2) You must commit in order to achieve your goals. The passion you feel about such a challenging yet exciting sport will certainly serve as all the motivation you need to commit to a better you. 3) You must gain confidence in yourself and your abilities to take on any challenge. 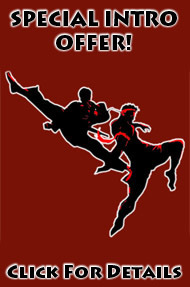 Learning the art of combat, and pushing your body to it's peak performance, gives you a tremendous amount of confidence. They say in life you should "Speak softly and carry a big stick." Well, I think I have a way to help you achieve that very thing. If you're ready to change your life, physically and mentally, consider joining me to train under Khun Kru King at Black Belt USA. "The first step is always the most difficult. I heard this spoken to my children many times when I would bring them to Black Belt USA for their Tae Kwon-Do lessons. As an out-of-shape 32 year old mother of 3, I finally made that first step and began training in the Muay Thai program in August of 2013. Having never stepped foot in a gym before, I was a little afraid of what to expect. The instructors and the students were excellent and have guided me from being non-athletic to what I am today: A student of the Martial Arts. To top it all off, I've lost an incredible amount of weight, body fat and inches! When I look back in my closet and see the jeans I USED TO WEAR, I am amazed. When I took that first step, I never would have imagined all the elements I've added to my life. A few of my fellow students have become great friends. When you train here, the students and instructors become a second family. A few of my fellow students have actually become my best friends. It is truly an inspiring place to be and I am grateful for every step of the journey, but mostly the encouragement to take that very first one!" I’ve been a part of the Black Belt USA family since 2001, training specifically in Muay Thai. I consider myself incredibly fortunate to have found BBUSA and to start my martial arts journey with Kuhn Kru King and Dr. King. From day one, it was obvious they have a passion to teach and want to help you improve and achieve your goals--whether it’s to get a good workout, relieve stress, or compete. BBUSA is a friendly and respectful atmosphere. There are a wide range of experience levels training side by side, ranging from beginner students to more advanced students training for a fight/competition. There are no egos here. Everyone gets along great because we’re working improve ourselves and get a great workout. 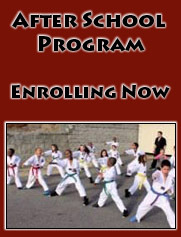 At Black Belt USA, you will be learning authentic Muay Thai and Tae Kwon Do. Kuhn Kru King and Dr. King have been training and teaching Muay Thai and Tae Kwon Do for a very long time. They know what they are teaching and talking about. The students that are a part of the ‘leadership team’ need to have several years of training before they are asked to assist with leading classes. So regardless of who leads class—you know you are learning the real deal. The instructors take the time to explain drills and help you understand the ‘why’ behind specific techniques. Anyone can tell you to throw your arms and legs in a certain sequence, but to understand the ‘when and why’ behind a technique is what you will learn at BBUSA. I HIGHLY recommend Black Belt USA. BBUSA is not only the martial arts school that I train at, but a second home. When we first moved to Charlotte we were looking for an activity for our four boys to join that would fit their individual needs. A program that taught discipline, promoted self esteem, taught self defence, and most importantly promoted a positive moral character. When we joined Black Belt USA we weren't sure the program would be able to fit all of our needs and now almost two years into the program we are happy to say that not only has this program surpassed our expectations but the family friendly environment has made Black Belt USA our second home. Black Belt USA made me a completely different person. Grand Master King and Dr. King took me in and I quickly became part of this great family going 20 years strong now. They helped me build muscle, gave me a strong sense of leadership and discipline, and broke me of my shy and small sense of self, only to come out more confident, strong, and focused. For all this, I give my thanks. The King's, the students, the instructors, and the rest of the Black Belt USA surely keep a place in my heart. The family can only grow, and Black Belt USA will warmly welcome all who wish to become a member of it. How do you summarize twelve years into a single testimonial? How do you condense over a decade’s worth of growth and memories into a single essay? I initially thought it would be a good idea to write a narrative. I would talk about my journey through the ranks and what I learned along the way, how I grew to be the person I am today. But something about that just didn’t feel right. There was something missing. So I decided to do what any person with a writer’s block would do: surf the internet. As I was perusing Google, I came upon a quote that led me to a point of self realization. The quote was by basketball coach George Shinn, and it said, “There is no such thing as a self-made man. You will reach your goals only with the help of others.” It was then that I realized that this testimonial could never be just about me, about my accomplishments, about my development. I wouldn’t be the stronger, more self-confident individual that I am today without the incredible guidance and support of everyone at Black Belt USA. Thank you to all of the kids that I teach during the week and to your parents for allowing me to spend time with such promising, talented, heartwarming students. It is truly one of the highlights of my day when I am able to coming into Black Belt USA and being greeted with their hugs and huge smiles. Watching the kids learn and grow, seeing the look on their faces when they finally get a form right, or finally nail that kick, really motivates me to be the best teacher that I can be, to strive to be a role model for them. Black Belt USA is not simply a martial arts school, it’s a family. A place where instructors are willing to drop all their Saturday plans to hold a single board for you, or help you practice your one-steps. A place where teachers and students who have guided you and taught you throughout the years, who have come and gone, still inspire you when you train. And it’s a place where the two head instructors are not just teachers, but parental figures. Master and Dr. King, words cannot describe how much I love you. Over half of my life has been spent training with you both at Black Belt USA, and your guidance throughout the years has not only made me a stronger martial artist, but a stronger person. Our trip to Korea together was the spark that ignited my interest in travel. I’m not sure if I would have my passion in studying abroad, in learning about the world if it weren’t for that amazing trip. On top of that your encouragement over these past twelve years has allowed me to develop a greater confidence in myself, a confidence that pushes me to new heights that I never dreamed possible. Thank you both so, so much, for giving me more than you will ever know. I want to close by repeating the quote that I mentioned earlier: “There is no such thing as a self-made man. You will reach your goals only with the help of others.” I cannot stress enough that I am where I am today, not through my own devices, but with the love and guidance of every person at Black Belt USA. Thank you all from the bottom of my heart. I joined the Black Belt USA family almost 5 years ago and attending a Muay Thai class still feels like an adventure. My frame of mind, confidence, and physical ability continue to improve with my martial arts journey. 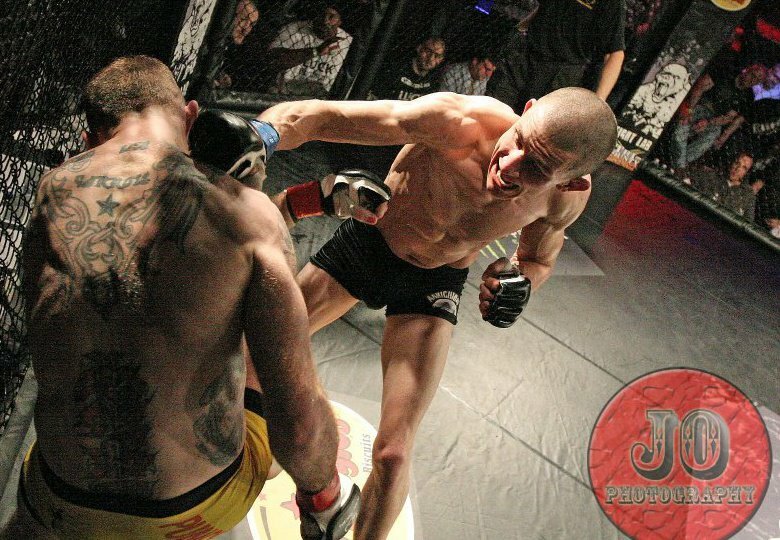 Muay Thai was the catalyst that helped me adopt a healthier lifestyle. I love the motivation and encouragement each student contributes, as well as, collectively sharing in one another’s success. The level of camaraderie and respect displayed by all students of Black Belt USA never ceases to amaze me. Both Dr. King & Kru King have great enthusiasm for each student’s progress and the passion they exhibit make Black Belt USA an ideal learning environment for students of all ages and athletic background. I consider joining Black Belt USA to be one of the best decisions I have ever made for my overall well-being.